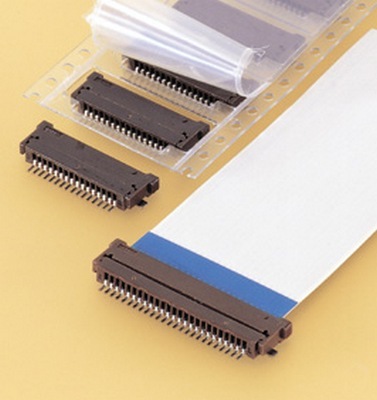 The FPZ is a Zero Insertion Force (ZIF) connector designed for surface mounting of FFC's with a lead pitch of 1.0mm (.039"). With it's mating slider serving as a guide, the FPZ connector ensures easy and reliable connection. It also features high heat resistance, and can be supplied in the form of emboss taping to facilitate automatic mounting. Connection can be made simply by inserting the leads into the connector and pressing the slider. Once the leads are inserted, they are held by the 4-side guides located inside the slider so that they will not dislocate or come off. The FPZ is supplied in the form of emboss taping for automatic mounting. 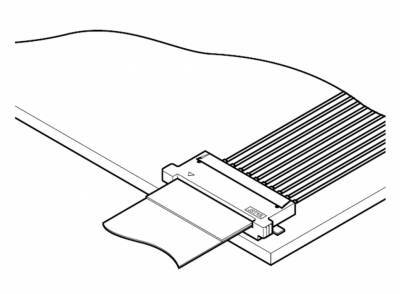 This surface mounting type is designed to meet the needs of surface mountable devices inside electronic equipment. The housing is made of heat-resistant plastic to allow reflow soldering. The circuit pitch at the soldered portion is 1.0mm (.039") and it's mounting height is 2.9mm (.114") when locked. The FPZ is a compact and low-profile design.